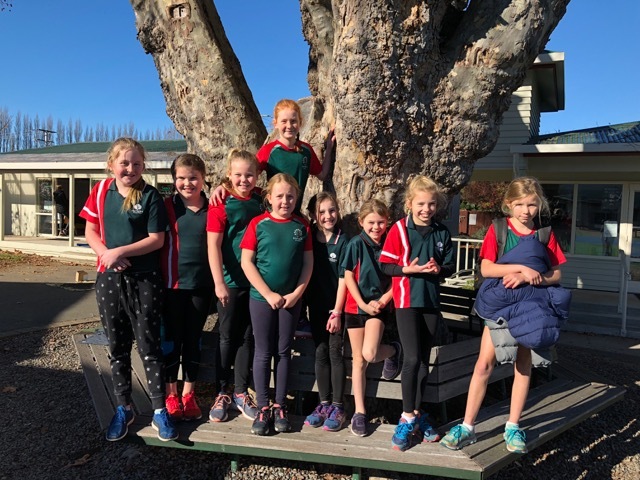 Over the past term a group of 9 students have been practising a number of disciplines for Marlborough Gymnastic Festival: bar, beam, skipping, vault, floor and a team formation. The group displayed great independence during training time as they organised times and places to meet, they choreographed a formation and supported one another to learn the different routines. The group performed on Friday and did so with pride. All of the team behaved extremely well, managing self and supporting one another. Well done girls, you were the absolute dream team. Thanks to Dave P for organising the Marlborough Gym Festival, the Rapaura team had a great morning. The 2018 team. Harriet, Assisi, Zoe, Paige (behind), Rose, Molly, Ella, Pippa and Freja.